How to Wash Different Types of Jeans. If you wear jeans often, then you probably own many different types of jeans. 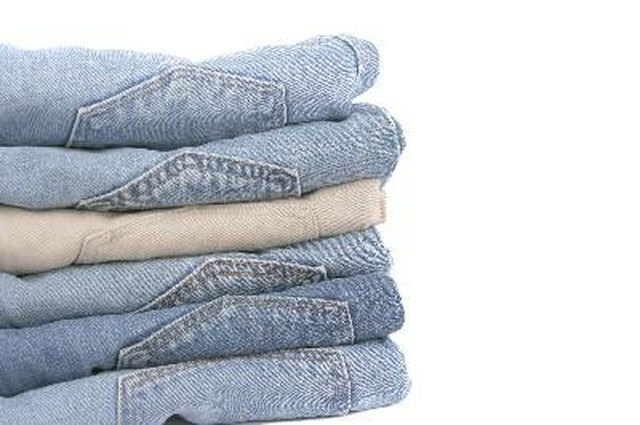 Jeans come in many different colors and styles that you need to take into consideration before you wash them. Otherwise, you may ruin jeans washed all in the same load. Categorize your jeans: colored, dark, and light jeans are a few common types. Wash new jeans without any other clothing. Before you regularly wash your jeans, you should put them in the wash alone. 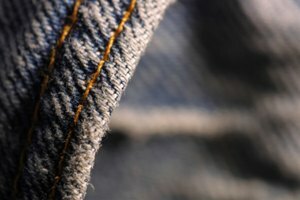 Dark colored jeans in particular tend to bleed and can ruin any other clothing you have in the load. Load the jeans with similar colored clothing and jeans. If you have dark jeans, wash them with other dark jeans and pants. Turn dark jeans inside out to prevent them from fading. Lighter jeans and colored jeans should go in with clothing with a similar hue. Use warm water for each type of jeans you wash. 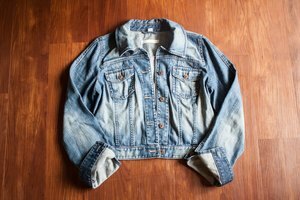 Unless otherwise specified on the tag, all jean types wash the best in warm water with a cold rinse. Hang the jeans to dry or put them in the dryer for 25 minutes on a low setting. High temperatures cause shrinking and breakdown the spandex in stretch jeans. Don't put more than four pairs of jeans in the washer at a time, even if they're the same type. 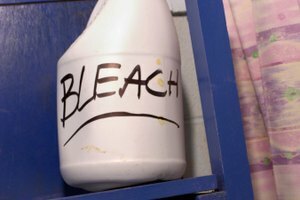 You'll overload the machine, restricting its ability to agitate and get the clothes clean. Don't wash the jeans in your home washing machine if they have a lot of elaborate beading on them. Send them out to the dry cleaners instead.